Marvin Wachman Director Emeritus of the Center for the Study of Force and Diplomacy (CENFAD). Francis W. DeSerio Chair of Strategic Intelligence, Department of National Security and Strategy, US Army War College, 2013-2016. From September 2007-January 2009 Professor Immerman served as Assistant Deputy Director of National Intelligence for Analytic Integrity and Standards and Analytic Ombudsman for the Office of the Director of National Intelligence. He currently holds the Francis DeSerio Chair in Strategic Intelligence at the US Army War College. Professor Immerman was the 40th president of the Society for Historians of American Foreign Relations. In 2009 the American Historical Association appointed Professor Immerman as its representative to theDepartment of State’s Advisory Committee on Historical Documentation. He was elected the committee’s chair in 2010 and continues to serve in that capacity. Personal Statement: A historian of United States foreign relations primarily but not exclusively since World War II, I initially focused my scholarship on the presidential administration of Dwight D. Eisenhower. My first book examined the overthrow of the Arbenz government in Guatemala, and I wrote a variety of studies about American policy toward Vietnam during the 1950s. Over time, my research became less regionally oriented. 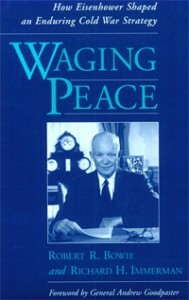 With Robert Bowie, Eisenhower’s assistant secretary of state for policy planning, I wrote Waging Peace, a study of the evolution of the New Look strategy. 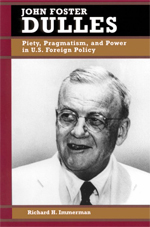 Not long thereafter I published a diplomatic biography of Eisenhower’s secretary of state, John Foster Dulles: Piety, Pragmatism, and Power in U.S. Foreign Policy. 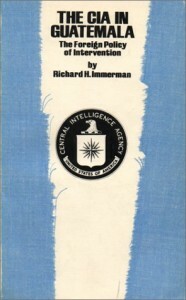 In 2006 I returned to my earlier interests in the Central Intelligence Agency by publishing a brief history of the “Company,” and shortly thereafter entitled my presidential address for the Society of American Foreign Relations “Intelligence and Strategy.” Coincidently, almost immediately after delivering that address I began a tenure as an Assistant Deputy Director of National Intelligence. I published Empire for Liberty: A History of American Imperialism from Ben Franklin to Paul Wolfowitz in 2010. It explores U.S. continental and transoceanic expansion by analyzing the beliefs and behavior of six contributors. 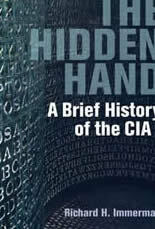 With my colleague Petra Goedde I co-edited the Oxford Handbook of the Cold War, and my The Hidden Hand: A Brief History of the CIA, came out in 2014. In 2015 Beth Bailey and I co-edited Understanding the Wars in Iraq and Afghanistan. My current book project examines the relationship between the CIA and Richard Nixon, concentrating on the SALT I negotiations. My conviction that individuals and their personalities matter in history drove the evolution of my interests in the process of decision-making and the president’s relations with his advisors, the role of intelligence in the formulation of policy, and the application of psychological theory to international behavior. The courses I have taught stress these interests, although I encouraged students to investigate all aspects of U.S. foreign relations. My Ph.D. students have written dissertations that range from the Early American Republic to the Global War on Terrorism. “Transforming Intelligence: The Intelligence Community’s Best Kept Secret,” Intelligence and National Security (2011). 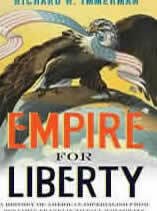 Empire for Liberty:A History of American Imperialism from Benjamin Franklin to Paul Wolfowitz (2010). “Intelligence and Strategy: Historicizing Psychology, Policy, and Politics,” Diplomatic History(2008). The Central Intelligence Agency: Security Under Scrutiny(co-editor with Athan Theoharis, et.al. and contributor, 2006). “Foreign Policy in the 1950s,” in Robert D. Schulzinger, ed.,A Companion to American Foreign Relations (2003). John Foster Dulles: Piety, Pragmatism, and Power in U.S. Foreign Policy (1999). “Effective National Security Advising: Recovering the Eisenhower Legacy,” Political Science Quarterly (Co-author with Fred I. Greenstein, 2000). “‘A Time in the Tide of Men’s Affairs’: Lyndon Johnson and Vietnam,” in Warren Cohen and Nancy Tucker, eds., Lyndon Johnson Confronts the World: American Foreign Policy, 1963-1968 (1994). “What Did Eisenhower Tell Kennedy about Indochina? The Politics of Misperception,” The Journal of American History(co-author with Fred I. Greenstein, 1992). John Foster Dulles and the Diplomacy of the Cold War: A Reappraisal (editor, 1990). “Psychology,” Journal of American History (1990). A revision of this article appears in Michael J. Hogan and Thomas G. Paterson, eds., Explaining the History o f American Foreign Relations (rev. ed., 2004). “Confessions of an Eisenhower Revisionist: An Agonizing Reappraisal,” Diplomatic History(1990). “Eisenhower, Dulles, and Dienbienphu: The ‘Day We Didn’t Go to War Revisited’,”Journal of American History (co-author with George Herring, 1984). 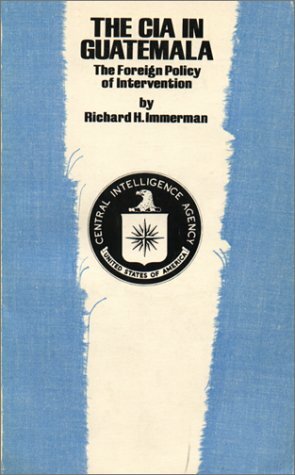 The CIA in Guatemala: The Foreign Policy of Intervention(1982). Elected the Society for Historians of American Foreign Relations’s fortieth president in 2007, Professor Immerman was awarded both SHAFR’s Bernath Book Prize and Bernath Lecture Prize. He has received an SSRC/MacArthur Foundation Fellowship in International Peace and Security Studies and grants from the International Research and Exchanges Board, the Lyndon Bain es Johnson Foundation, and the National Endowment for the Humanities. He was the recipient of the Temple University Paul W. Eberman Faculty Research Award in 1998, and in 2004 Temple’s College of Liberal Arts named him the Edward J. Buthusiem Family Distinguished Faculty Fellow in History. After chairing the Department of History for more than seven years, he directed the Center for the Humanities at Temple (CHAT) from 2006-09. He was appointed the Marvin Wachman Director of the Center for the Study of Force and Diplomacy in January 2007. Professor Immerman concluded in December 2008 a si xteen-month tenure as Assistant Deputy Director of National Intelligence for Analytical Integrity and Standards and Analytic Ombudman for the Office of the Director of National Intelligence. Currently he chairs the Historical Advisory Committee to the Department of State.